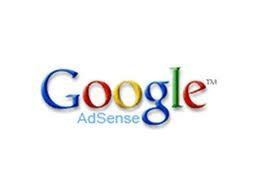 Several months ago, I shared about my experiment to increase my adsense income. After creating backlinks to several pages on one of my blogs, I doubled my google adsense earnings in one month. The next month I made three times the amount I started with. I managed to earn close to $400.00 in one month. I decided to see what would happen if I stopped posting any new content or building any links. I'll let you know what happened as well as the places I used to build the links. There were a couple of things that I did before I started building links. Automatic Backlink Creator is a wordpress plugin that builds links automatically. How? You upload the wordpress plugin on one of your wordpress sites and you can build backlinks on autopilot to any of your money sites including other blogs, squidoo lenses, hubpages, infobarrels, etc. It's a simple process too. You add the url, three anchor texts and a description. These will be rotated on a network of blogs as a link on the home page. Ping.fm is a free service that anyone can use to post to several social media sites simultaneously. It takes a little time to set up all the accounts, but it's worth it. Backlinksindexer is a service that builds backlinks to your backlinks. The only thing you have to do is copy and paste each backlink that points to your site. They do the rest. Every backlink that is indexed improves your serps. You can get a free trial just to test it out. I tried it and it was successful, so I subscribed. These four sites were the main methods I used to create backlinks, but I also posted new content regularly. The results? I had multiple $25.00 days. Revenue from other sources such as Amazon also increased. What happened when I stopped adding new content and building links? It took several months, but my earnings fell below $100.00 again. I am sure that if I had continued to build links to my old content (that didn't have any backlinks) I would have maintained the earnings. I am glad that I ran this experiment. Now I know that one of my simple blogs can earn about $400.00 in one month. Those keywords don't even pay as much as the keywords on this site. I wonder how much I can earn with this one? I'll keep you posted. Hi firstly congratulations on your great improvement in earnings. I was wondering, was it a niche site that you made the $400 from? Was it a wordpress site or blogger? Were you targeting a couple of specific keywords? How many times a week were you adding content to the site? How many sites do you have? If you don't mind me asking. Oh do you make much out of adsense on this site?